Maria joined Chambers following the successful completion of her pupillage. Her practice focuses on asylum, human rights and immigration law. Maria is developing a reputation as a robust advocate who strives to achieve the best outcome for her clients whilst maintaining an approachable manner. 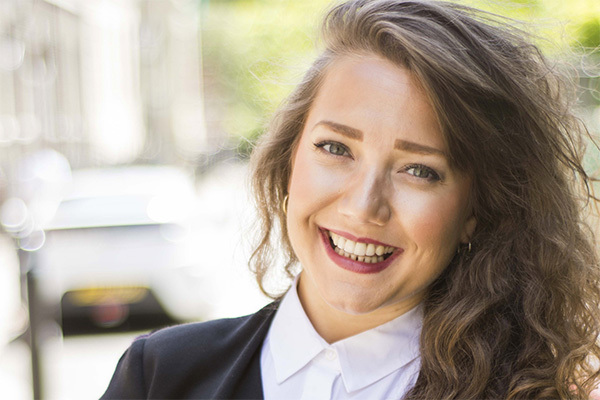 Prior to commencing pupillage Maria gained substantial legal experience both in this jurisdiction and abroad, with a particular focus on human rights law. Maria spent three months interning at the state defender office in New Orleans, Louisiana, which represented all individuals at post-conviction appeal stage on death row. Maria also completed internships at Fair Trials and Reprieve. Maria has maintained a commitment to pro bono work; she currently sits on the Executive Board of Vocalise, a programme run by Gray’s Inn which teaches British Parliamentary Debating to prisoners, having previously been a director. At university, Maria was elected onto the boards of the Student Action for Refugees Society as well as the Pro Bono Society. Maria has also volunteered at the Manchester Legal Advice Clinic, the Personal Support Unit and run an Amnesty International student group. Maria is currently instructed on The Grenfell Inquiry as Junior Junior Counsel which has some impact on her court diary. Please contact the clerks for more details. Maria is regularly instructed in publicly and privately funded appeals in both the First Tier and Upper Tribunal of the Immigration and Asylum Chamber in relation to asylum and human rights matters. Maria regularly represent minors in asylum proceedings involving complicated legal issues and necessitating emotional sensitivity. Maria regularly advises and drafts grounds of appeal in relation to EEA and Business Immigration matters as well as Judicial Review proceedings.